Ordering by phone is easy! Just call toll free 1-866-683-6297. 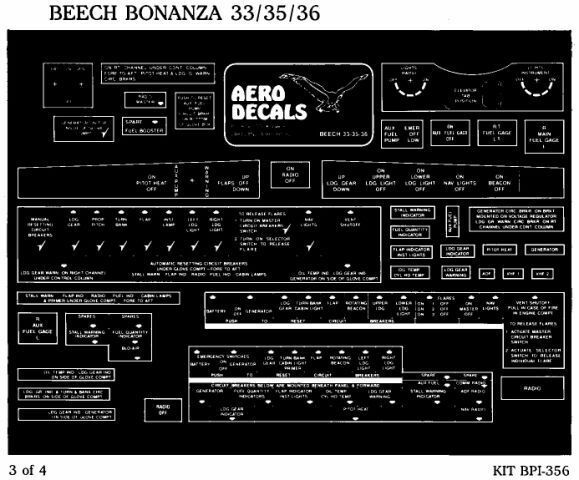 Note that this decal kit may also be used for the Beechcraft Debonair. 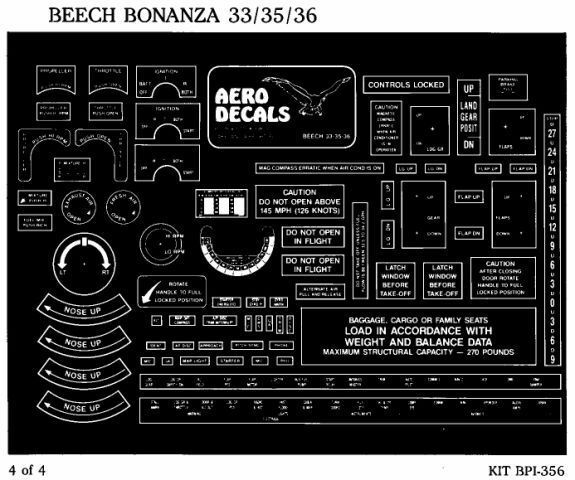 This is the Economy kit for the Beechcraft Bonanza 33/35/36 and the Debonair 33. It is silkscreened, uncut and comes as white on black vinyl. If you want precut decals and choice of colors, look at the Premium version here. 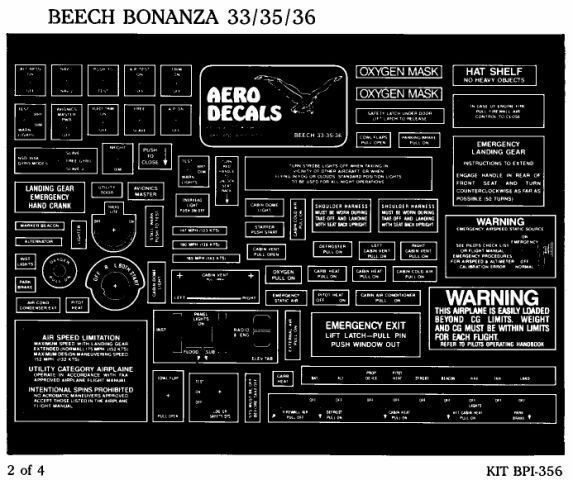 Premium interior decals are made with white text on a black background unless otherwise specified. However, we can also do white or black text on a clear background, or any other color combination you prefer (except where color is specified by regulation). 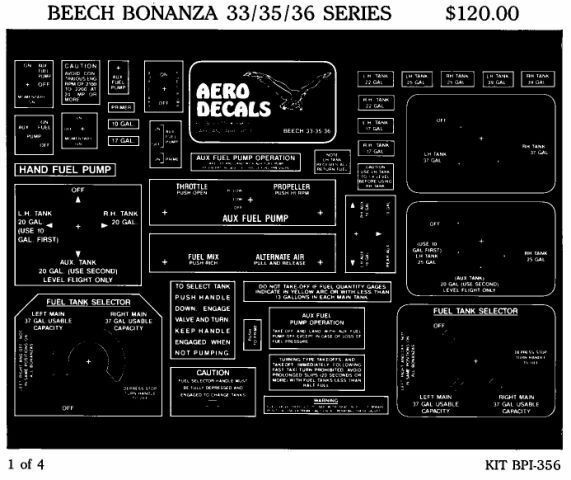 Economy interior decals are only available in a few colors, generally white on black. Click here to see a palette. Please specify color choices in the Special Instructions field when you check out. This product was added to our catalog on Sunday 26 February, 2006. Site design by That Software Guy. Powered by Zen Cart™. Copyright © 2019 Higher Graphics - your source for airplane decals, placards, stickers and graphics. All other copyrights and trademarks are the property of their respective owners.